PRESIDENT Mugabe yesterday slammed people attempting to topple him from his post, saying they must wait since he will properly communicate to them when his time to leave office comes. Speaking at a luncheon hosted by the Ministry of Local Government, Public Works and National Housing yesterday to mark the opening of the Second Session of the Eighth Parliament, the President said Zanu-PF was at war, with party cadres manoeuvring to push each other out of positions ahead of the 6th National People’s Congress in December. “Hanzi aah VaMugabe vachembera ngavabve. Vakasvitsa party pano! Kwandakabva nemabhunu, majere, masango nevakomana, aaah, ndozonzi nekamwana kadikiwo zvako. Aiwa, I know when time comes I will tell you, but for now, ‘ichi’,” he said raising his fist, drawing applause and cheers. President Mugabe’s remarks follow recent revelations that a faction within the party was angling to oust him and elevate Vice President Joice Mujuru to his position. 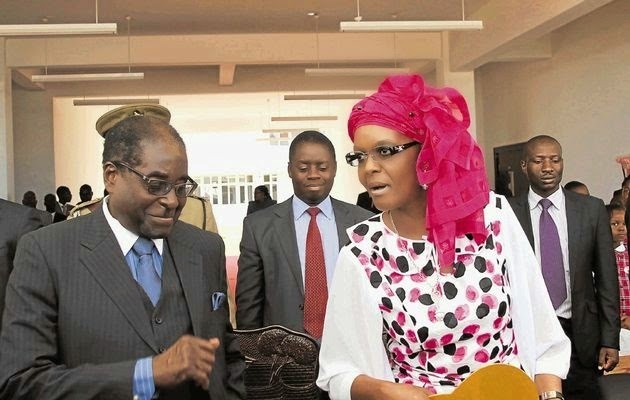 The First Lady Amai Grace Mugabe made the revelations during her highly-subscribed “Meet the People Tour” rallies in all the country’s 10 provinces where she thanked party supporters for nominating and endorsing her to lead the Women’s League. President Mugabe told guests at the luncheon yesterday that some party officials were no longer concentrating on service delivery because of the pending congress. “Spend time there and not wanting to know, aah, Congress is coming what will I do?” he said. President Mugabe said those in leadership positions should use them effectively and not “plan dirty tricks” and plotting to eliminate others.  “If you are in a position, use that position effectively, kwete kuda kusunda vamwe kuti utore iyo (position). Ko yaunayo iyo wati waigona here? President Mugabe said the forthcoming Congress, to be held from December 2 to 7, would stop all the “nonsense” going on in Zanu-PF. “Zanu-PF, I can assure you is a solid party. We shall not have any nonsense, none at all,” he said. “No rubbish. We are constant. It is a party, mind you, which combines persons who carry the tradition of the past, focus. “When we had these parties (Zapu and Zanu) we never campaigned for positions. You are going to go into that position, yes, I will work in that position. You go into this position, yes. Ahh ini ndazoiswa pano uyu aiswa apa sei? Aah, come on! And zvandaiswa pano now I am going to use this position to achieve A, B, C, D which has to do with pushing others out. “Planning, planning, planning dirty tricks against others all the time and that is why these so-called factions are daily dreaming, daily talking about and daily feeding on. When we get to Congress, we want to stop all that nonsense!” the President said to cheers. Contradictions, President Mugabe said, exist but should be resolved harmoniously. President Mugabe said some countries which were hostile to Zimbabwe were now warming up to opportunities that existed in the country. He said Britain was doing all it could to block those countries from cooperating with Zimbabwe. “We are getting more and more friends ready to give us support and even some members of the European Union are beginning to say we want to cooperate with you economically,” said President Mugabe. “If bilaterally you want to work with us, leave the British alone if they want to continue with their sanctions. President Mugabe said by invading Iraq, the Americans wanted to plunder the country’s resources, oil in particular. “After all, Bush and Blair you know, the two-some (they are) thoroughly dishonest, thoroughly hypocritical and thoroughly violent,” he said. “That’s how they wanted to make their names at the same time also get resources from countries, telling lies about them. After they had attacked Iraq and killed him (Saddam Hussein) then they said no, they made a mistake he had no weapons of mass destruction. “(They said) we want to go and defend civilians and we in Africa were stupid enough to support European countries in the (UN) Security Council,” he said. “We gave them the two thirds majority they needed and when they went into Libya they wanted to kill, to completely eliminate his (Gaddafi)’s family.